Delivering fuels and HVAC services to Susquehanna, Wyoming, Broome Counties and parts of Tioga County. 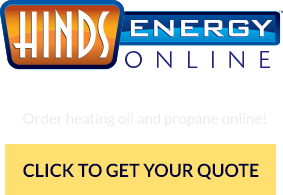 You won't find another energy company in our area with as many value-added services as Hinds Energy! We're big enough to meet all your full-service needs ... but still small enough to give you the caring, personal attention only a family-owned company like ours can offer.